Looking for more ways to engage your learners? Believe it or not, course/content design can actually have either a positive or negative effect on your material and learner engagement. 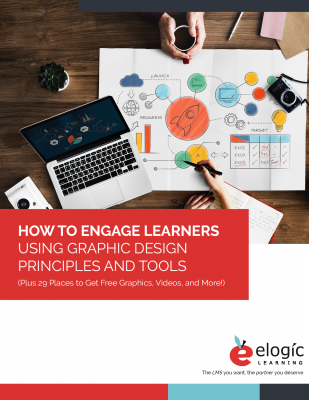 Read on for ways to incorporate great design principles into your elearning, plus some free tools! Adding visual elements can help drive home important points. We've got four big types of graphics to use. We discuss 8 web design principles that can help your courses look better and be more engaging. You don't need Photoshop or Illustrator to make great graphics. We have 4 FREE tools you can use! We've put together 29 places to get (mostly free) images, videos, music, & more!